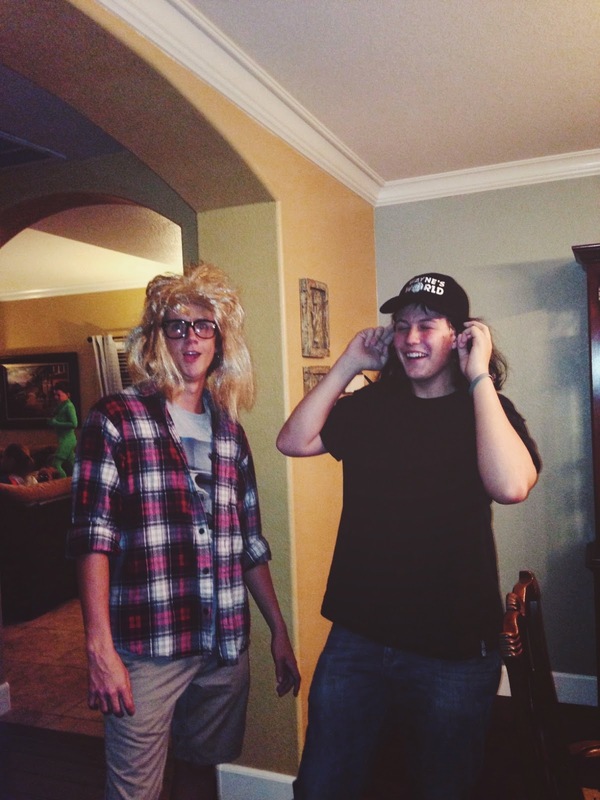 Drew pulling an uncanny resemblance to "Garth"
Do you still have candy left? I have completely cleaned out Gentry's snickers. Hope your halloween was frightfully happy.